Earth & Co. has come on board as a race pack sponsor for #AfricanCenturion2018. The Earth & Co range of products is part of Tacoma Brands which is produced in Europe in an ultra-high technology facility. Our Earth & Co. products are 100% plant based, dairy free, suitable for vegans, a source of calcium, added vitamins, free from colourants, sweeteners, GMO free, naturally low in saturated fat, with no lactose or cow’s milk proteins, therefore a delicious alternative to cow’s milk and soya drinks. Earth & Co. Rice Drink is also allergen free and Kosher certified. Made from brown Jasmine rice, these oven baked Earth & Co Rice Crisps are a delicious snack that appeals to the whole family. They are high in fibre and free from Gluten,preservatives, colourants, flavourings & MSG. 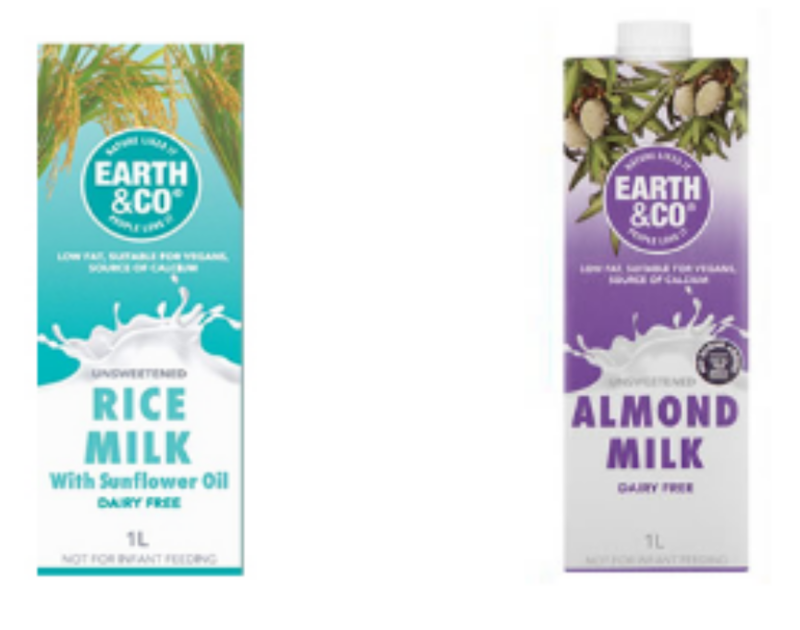 Earth & Co’s new improved rice milk recipe has less Kilojules, Carbohydrates, Fats & Sodium and more Protein than before.This product is not Kosher certified.Earth & Co Rice Milk has a delicious, light and refreshing flavour that appeals to the whole family. Ideal for people that are lactose intolerant and allergic to dairy or Soya. A Naturally sweet and easily digestible drink, low in saturated fat with no added sugars. Free from preservatives & colourants and cholesterol Free. Earth & Co. Almond Drink has a light and refreshing, mild almond flavour that appeals to the whole family. Naturally low in saturated fat and with no lactose or cow’s milk protein, it is a delicious alternative to cow’s milk and soya drinks. For an utterly indulgent, high fibre snack, try Earth & Co Toasted Coconut Chips. Made from the dry-roasted shavings of Nam Hom coconuts, these chips have an intensely coconutty taste. Ideal for vegans – and a delicious treat for everyone to enjoy. Use Earth & Co Toasted Coconut Chips to add extra flavour and texture to your baking. Alternatively, enjoy as is as a delicious way to satisfy a sweet tooth. In the production of this product, none of the coconut goes to waste. The shells of young, green Nam Hom coconuts are recycled and used to produce paper, while older shells make excellent fertiliser due to their high potassium content. 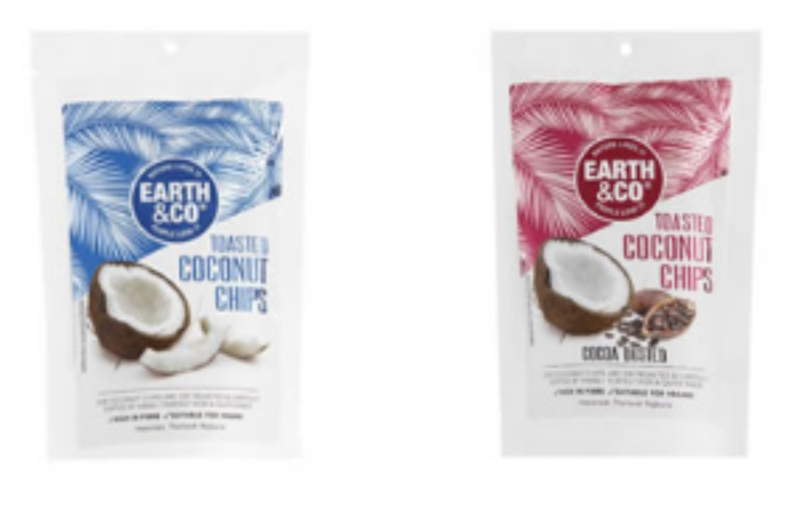 Earth & Co will be including their delicious coconut chips into all the race packs.